Microsoft's line of gigantic touchscreen computers are almost here, the largest of which will set you back $20,000. 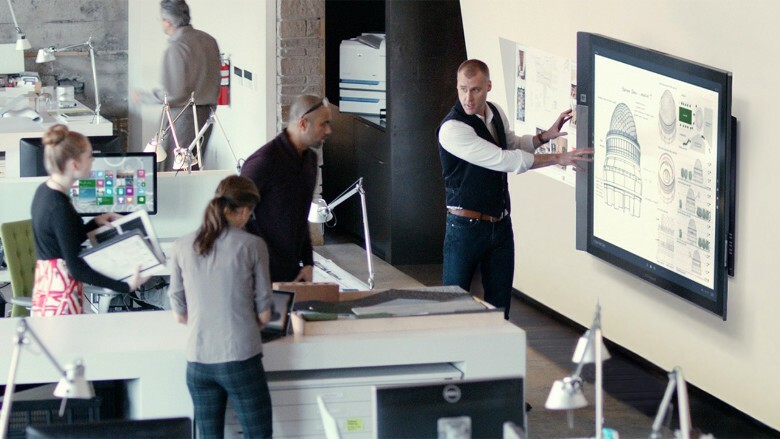 The Microsoft (MSFT) Surface Hub is a cross between a super-sized tablet and a whiteboard. The expansive 84-inch Hub has a "4K" ultra high-definition display and will cost $20,000. The smaller 55-inch version has a 1080p display and will start at $7,000. The Hub is meant to be a next generation office centerpiece, used for video calls, real-time collaboration on projects, and presentations. One Hub could replace a room full of frustrating video, projector and conference call set ups. Not to mention dry erase markers. It's also a flashy way to impress clients. Multiple people can doodle on the screen at once, even collaborate in real time with remote participants. 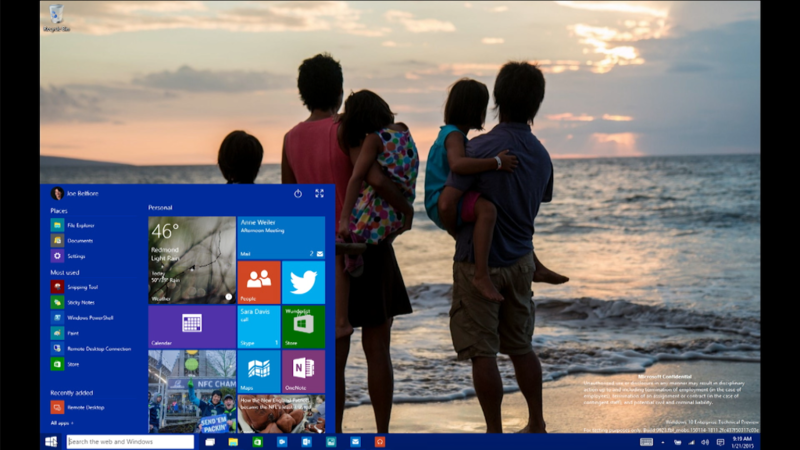 The Hub runs on Windows 10 and includes the usual Microsoft Office apps, as well as Skype for Business and OneNote. It can also work with universal apps. To use the Hub, you can drag a finger or the special Hub stylus across the screen to draw or navigate apps. Don't want to get up? Speak commands from your chair or take control from a Windows, Android or iOS smartphone or tablet (with the right Microsoft app installed). It has two-built in 1080p cameras for video conference calls. While $20,000 sound pricy, it's probably a reasonable expense for many businesses interested in high-end equipment. The company first unveiled the Hub at an event in January, where it was quickly over-shadowed by the debut of Microsoft's augmented reality headset, HoloLens. The Surface Hub will start shipping on July 1.